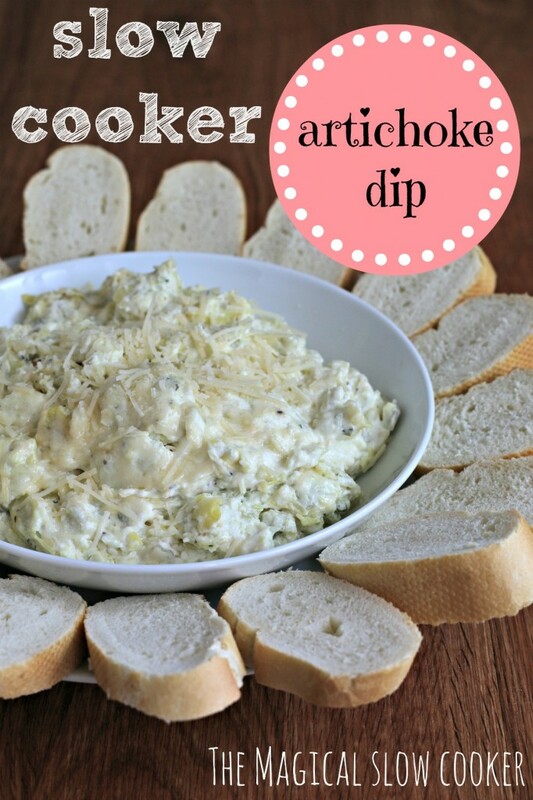 It’s not a party unless there’s ooey gooey hot slow cooker artichoke dip! I whipped together this artichoke dip in no time, set the slow cooker for an hour and a half, cleaned up the kitchen and had time to spare before my friends were to arrive! I flavored this slow cooker artichoke dip with leek soup mix, parmesan cheese, garlic and a touch of lemon juice. I sliced up some fresh french bread, it doesn’t get any easier than that! Serve this straight out of the slow cooker, or in a pretty dish. 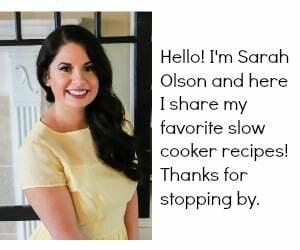 I don’t make any other appetizer when I make this dip, this recipe makes plenty, and it’s very filling. Great for christmas parties, and game days. In a large bowl, stir together the cream cheese, sour cream, and mayo. Fold in soup mix, garlic, lemon juice, pepper, artichokes, and half the cheese. Spray a 6-quart slow cooker with non-stick spray, and spread the dip down in an even layer, top with remaining cheese. Cover, and cook on HIGH for 1.5 hours. Serve with soft french bread. Enjoy! I recently got a can of artichoke hearts intending to use them in a recipe I never made — may have to use them for this instead! Thanks! This dip looks awesome! I love everything with artichokes! Great party dish! 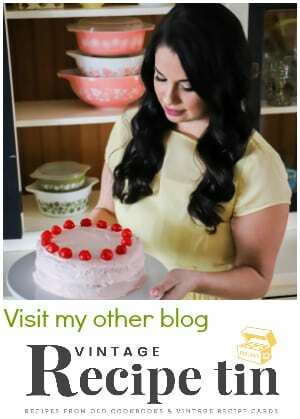 This looks so good Sarah! You’re right it’s not a party without Artichoke Dip. 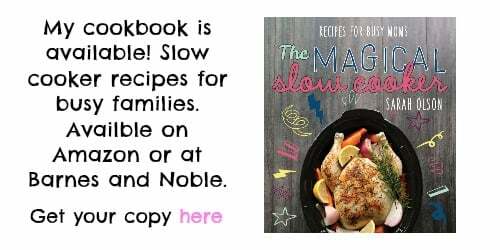 Sounds amazing and I am going to have to make mine in the slowcooker next! This heat is killing me! This dip sounds so amazing!! I love that this is made in the slow cooker to give you time to attend to other things before the party starts. Pinning! Love hot artichoke dip! 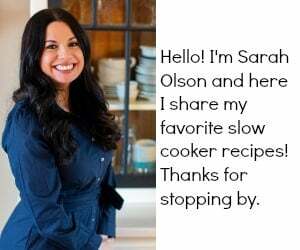 Such a great idea to bring in slow cooker to a party and feed a large group!